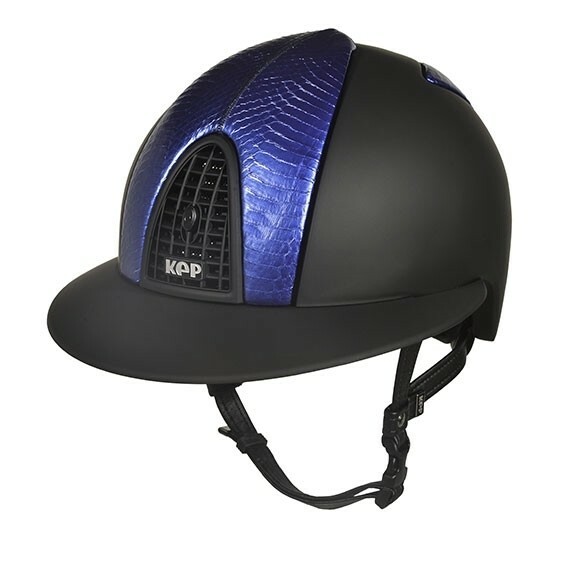 The KEP Helmet Cromo T Pearl Empire Blue Snake is great hat for all riding disciplines. 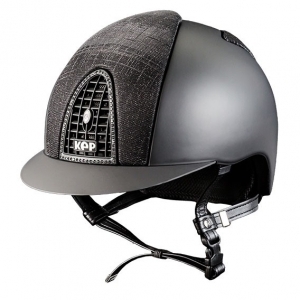 The Pearl Empire helmets are new to the KEP collection this year. These beautiful helmets are a must have addition for all riders with the stunning snake design on the front and back panels. SKU: N/A. 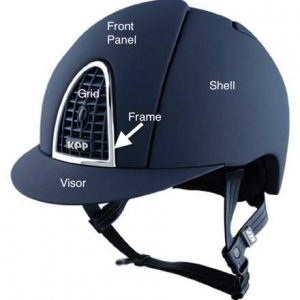 Categories: KEP Hats, Feature Product. The KEP Helmet Cromo T Pearl Empire Blue Snake is great hat for all riding disciplines. 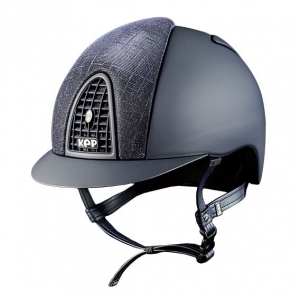 The Pearl Empire helmets are new to the KEP collection this year. These beautiful helmets are a must have addition for all riders with the stunning snake design on the front and back panels. 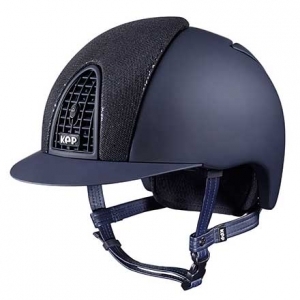 The KEP Helmet T Pearl Empire Snake provides the best air ventilation systems on the market allowing the rider’s head to stay cool in hot conditions, stopping the ‘hat head’ sensation. 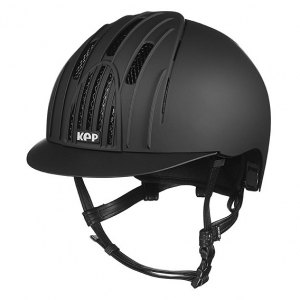 They are also one of the safest helmets for riders whilst providing a beautiful style. 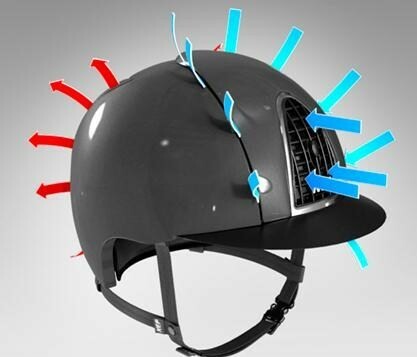 The ventilation system works by air entering the helmet through large front vent and the ventilation channels under the peak and passing all the way through to the adjoining panels which keeps the rider’s head cool during wear. 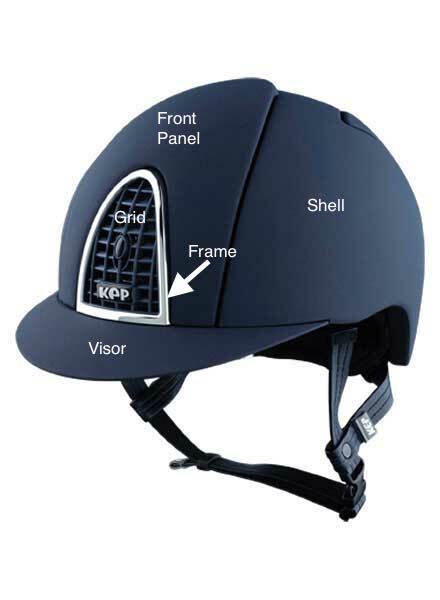 The interchangeable liner is also machine washable allowing the rider to have clean liner when necessary. The liner can easily be clipped in and out and can also be changed in size when needed. 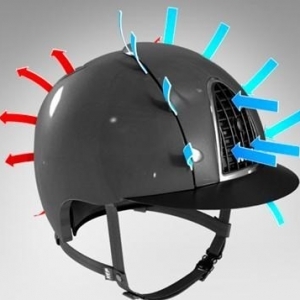 The KEP helmets are extremely comfortable and due to the ergonomic design, they fit perfectly to the back of the skull to stop the helmet from slipping forward, which can be witnessed with other helmets. This fitting style also allows the the grip of the hat to be further up the skull meaning that less pressure is placed on the forehead which causes headaches or red pressure marks when worn for a long period of time. 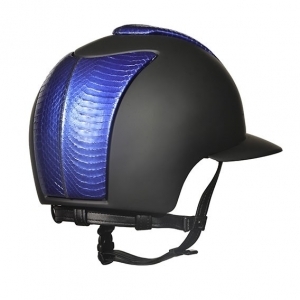 All KEP Helmet Cromo T Pearl Empire Blue Snake are equipped with short flexible peak, air circulation system, 5 connection point straps and inner removable and washable padding.